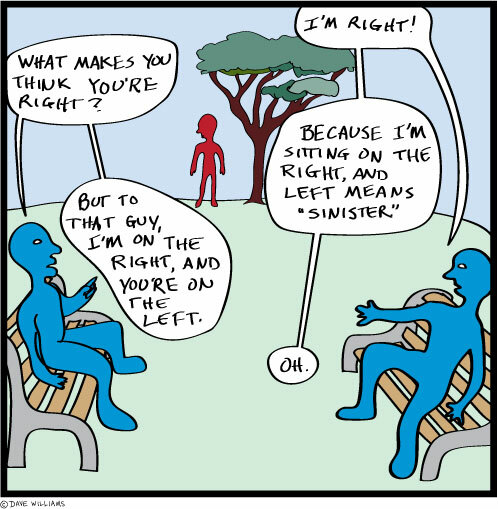 Ah..the issue of perspective and relative view….made me laugh this Friday morning. Try teaching left and right to a bunch of Japanese six year olds! Are there no words for right and left in Japanese? Ah, but right for them, right for me?